Saturday, May 14th was a perfectly hot day in Tempe, Arizona. 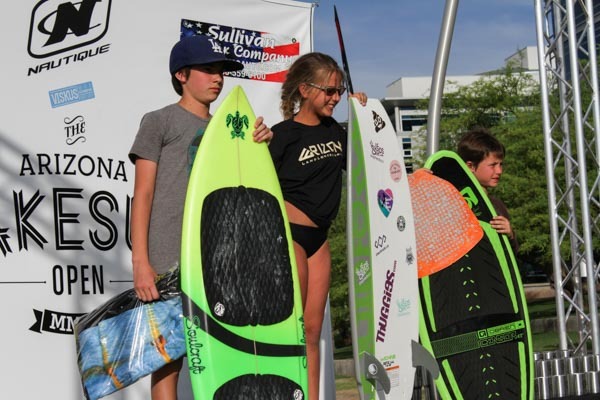 While most people were still sleeping in, shredders and their families gathered along the South bank of the Tempe Town Lake for this year's Arizona Wakesurf Open. The water venue was already being enjoyed at the early hours by paddle boarders and kayakers. This weekend was different for all them, however, as they usually don't have to share the waterway with two Nautique Surf Boats. 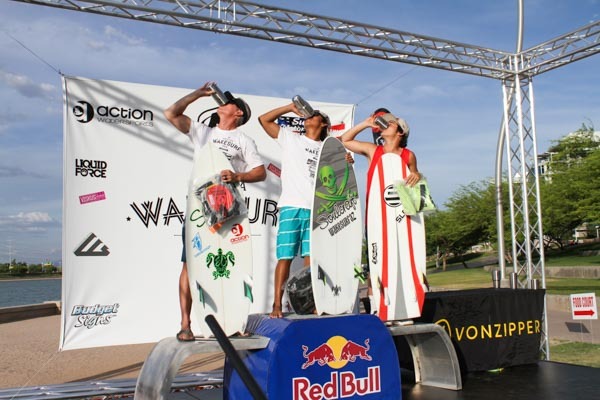 The event hosted by Action Watersports AZ brought most of the great wake surfers of both styles (surf and skim) from around the nation and Canada, and they all showed up to win! Check out the full results on theCWSA.org – so you can read the rankings and points, and be sure to check out the photo gallery below from the event. The warm morning started off with the Juniors. 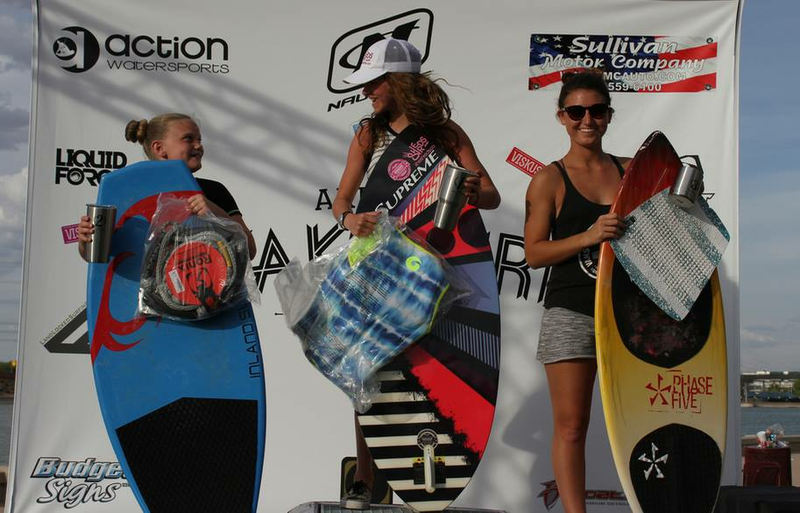 They happily shredding the perfectly made waves, with Rylee Steffen taking home the 1st place win for her division over 2nd place Mats Anderson and 3rd place Austin Nordgren. The event quickly progressed without pause, as minor crowds began gathering around the tent covered Nautiques. The event course was set up to start just after the bridge past buoy 1 then towards the 2nd buoy, and then one last run back to the start again. Each rider was set for their two buoy surf pass, and with only three falls permitted...focus was definitely needed. Masters Women was ready as soon as Juniors finished, with Cathy Ringer taking the top podium spot over Janelle Harrington and Suzanne Roshto. 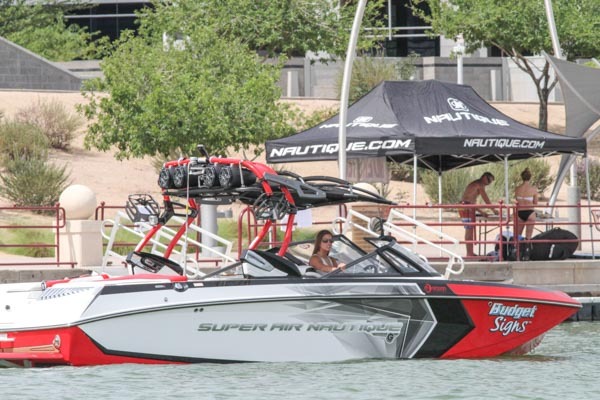 The red Nautique G23's finished up with Amateur Women's Skim and Surf next. 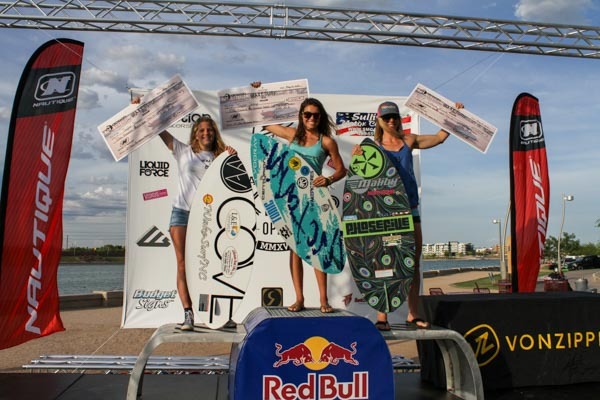 Amateur Women's delivered 1st place Skim to Ella Sorensen, over 2nd place Zoey Montgomery and 3rd place Baylee Martin; while in the Surf style was won by Susie Baker in 1st followed by Kai Roshto in 2nd and Lily Anderson in 3rd . They had all the guys ready to go immediately after the last rider got scooped up from the red G23. Throwing out another swell from a full boat of judges and photographers, the Men's Masters began with some really great riding. 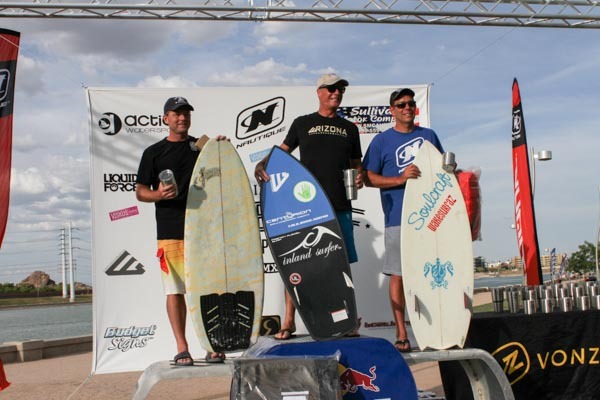 These experienced competitors quickly carved the Gnar behind the G23, with Brent Dorey taking 1st over 2nd place Rob Harrington and 3rd place Duane Giguere in Surf style and Chris Bank snaggin 1st against Eric Grindland and Danny Bribricher in 2nd and 3rd respectively. We really could go on and explain the rankings, but again... it is really much easier to look at the roster of competitors and applaud them all for giving 110% in intense heat and conditions. 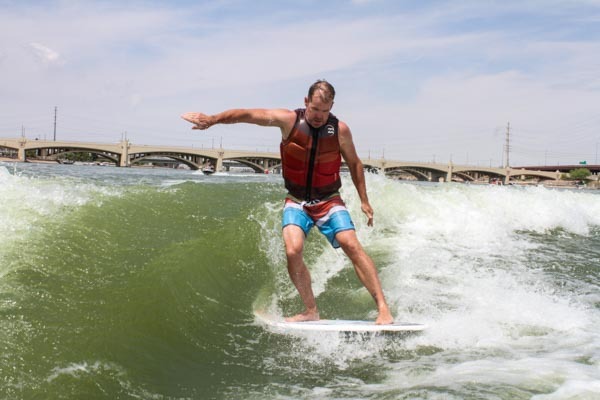 The conditions for Nautique waves was flawless for each rider at the beginning of their heat / division. They were all sending it for their chance at the finals! From Juniors to Masters, I'm certain that most scores were tight. The Outlaw and Pro heats delivered some hard chargers. We saw plenty of airs, spins, and combos, with riders even using the transfer system of the G23 to switch hit some backside tricks. Event host Mike Escorza ripped his hometown a new Ace...as he took first place in his division! This great guy is definitely a hometown hero, if you ask us. He was there early to set up the venue and make sure everything went smoothly; working all day and constantly organizing. He stops all his duties to take a quick break and go destroy his run behind the Nautique. The best part about his aggressive run was that he was smiling the whole time, just like a kid on his birthday! It was a great day for families too. We had division after division dominated by one clan or another. Everyone supporting the stoke. Since pictures are louder than words, we remind you once again to have a look at the gallery. You'll want to go next year – no doubt! Congrats to all the winners and a huge round of applause to everyone who had a great time in Arizona!